Use these tips to make sure you treat your body right after exercising. Whether you want to avoid an injury or simply maximize your workout, the steps you take after exercising are quite important. There are plenty of things you want to do each time you get active, and there are also a few things to avoid as well. A massage is an excellent choice for relieving tension or pain caused by any serious exercise, and Intellinetix vibration therapy products offer the same comfort and soothing relaxation. Gentle vibration stimulates muscles, ligaments and tendons in way that increases blood circulation while simultaneously numbing pain signals. After an intense session at the gym, unwind with the comfort of vibration therapy. Men's Fitness reported that there are two main reasons stretching is so advantageous following a workout. Like vibration therapy, softly stretching your muscles helps reduce tension and stiffness. Secondly, this is a way to limit soreness the next day because it lowers the build-up of lactic acid. 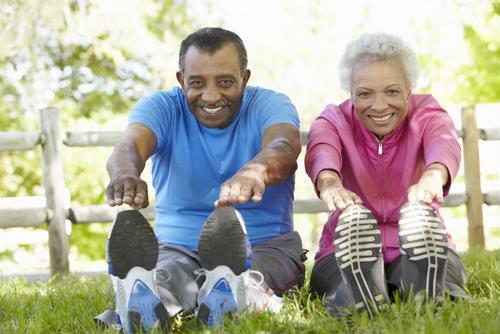 Your body may also be at its most limber after working out, so you can promote flexibility by stretching at this time. Exercising helps promote nutrient absorption, which is why the right post-workout meal is critical. Select something full of protein, vitamins and minerals. That means either choosing a well-rounded meal or otherwise a balanced workout supplement like a protein shake. Men's Fitness stated that this is also a good time to eat carbohydrates, especially if you actively exercise. And besides giving your body the right fuel, selecting a meal full of sugars and too much fat can negate some of the benefits of getting active. "The right post-workout meal is critical." Hydration is another critical step for cooling down after a workout. Water helps promote strength and flexibility, and being dehydrated can put you at risk for feeling dizzy or sick. During your exercise, it's important to drink an adequate amount of water or a sports drink. Likewise, avoid things like coffee, soda or alcohol. After your workout, be sure to pair a meal with the right amount of hydration. Muscle and Fitness stated that one overlooked but essential part of workout recovery is to get a good night's sleep or at least a restful catnap. Your body's central nervous system and muscles repair themselves while you sleep, and following strenuous exercise, this is key for avoiding soreness or injury. These steps are most effective when done together. Consult a trainer or fitness expert for specific exercise or diet tips and always remember to work at your own pace to lower the risk of getting hurt.